What do you think would be the most frequently asked questions? Have all the prophecies concerning the Messiah been fulfilled? No, absolutely not! The Bible says there are two kinds of prophecies regarding the Messiah — the prophecies concerning His suffering and those concerning His glory (1 Peter 1:11). Only the prophecies concerning His suffering have been fulfilled. The prophecies concerning His glory will be fulfilled at the time of His Second Coming. Read Isaiah 24:21-23 and 2 Thess. 1:10. Is Jesus coming back to reign on this earth? Yes, the Bible says so point blank. Read Isaiah 24:21-23; Daniel 7:13-14, 18, & 27; Zechariah 14:1-9, 2 Timothy 2:12; Revelation 2:26-27; 5:9-10; and 20:6. Yes and No. We cannot know the date but we can know the general season, because Jesus is returning in wrath, and God never pours out His wrath without warning. So, we have been given signs to watch for. Read Matthew 24:4-14, 1 Thessalonians 5:1-5 & Hebrews 10:25. Are we living in the season of the Lords' return? Yes. The surest signs are the re-establishment of the nation of Israel and the Jewish reoccupation of the city of Jerusalem. The Bible always pictures the Lord’s return at a time when the Jews are back in the land of Israel and in possession of the city of Jerusalem. Read Zechariah 14:1-9 & Luke 21:24. The Rapture is the catching up of the Church to meet Jesus in the heavens. Read 1 Thessalonians 4:13-18. The exact timing of the Rapture is not revealed in the Bible, but the Scriptures infer that it will occur at the beginning of the Tribulation. Read Luke 21:28,36; 1 Thessalonians 1:10; and Revelation 3:10. Will the children of believers be taken when the Rapture occurs? The Bible does not directly answer this question, but it does so indirectly through prophetic type. When God saved Noah from the flood, He saved all his household. When God led Lot out of Sodom and Gomorrah, He saved his entire household. It appears from these examples that the Lord will rapture minor children with their parents, but older children, those above the age of accountability, will be taken only if they have accepted the Lord. Read 2 Peter 2:4-9. What prophecies must yet be fulfilled before Jesus returns? None. There is not one prophecy that has to be fulfilled before the Rapture can take place. Jesus can return any moment for His church. There are many prophecies that must be fulfilled before Jesus returns to reign over the earth — for example, the Great Tribulation must occur. But the Rapture can occur any moment. That’s why we are constantly urged to be on the alert. Read Matthew 24:42-44, Matthew 25:1-13, & Luke 12:35-40. But doesn't Matthew 24:14 say that the Gospel must be preached to all the world before the Lord can return? That verse applies to the Second Coming and not the Rapture of the church. During this century, through the use of modern technology, the Gospel has been proclaimed to almost all nations. The task will be completed during the Tribulation through the efforts of the 144,000 (Revelation 7:1-8), the two special witnesses of God (Revelation 11:3-13), and an angel who will proclaim the Gospel “to every nation and tribe and tongue and people.” Read Revelation 14:6-7. Isn't the earth supposed to burn up when the Lord returns? No, the earth will be renovated by earthquakes and supernatural phenomena in the heavens when Jesus returns (Revelation 6:12-17 & Revelation 16:17-21). The earth will not be engulfed in fire until the end of the 1,000 year reign of Jesus. The fire will burn away the pollution of Satan’s last revolt, and out of that fiery inferno will emerge a new, renovated, eternal earth. Read Revelation 20:11-21:4; & 2 Peter 3:10-13. A seven year period of time during which there will be a pouring out of the wrath of God. This period will begin at the end of the Church Age and will immediately precede the return of the Lord to reign for a thousand years from Mt. Zion in Jerusalem. Read Deuteronomy 4:30-31; Jeremiah 30:7-8; Daniel 12:1; Matthew 24:15-31; & Revelation 6-19. Can people be saved during the Tribulation? It depends. The Bible says there will be a great harvest of souls during the Tribulation (Revelation 7:9-14). But the Bible indicates that there will be some people who cannot be saved. Those who will be saved are those who respond to the preaching of the Gospel by the 144,000 Jews (Revelation 7:1-8), the two prophetic witnesses (Revelation 11:1-13), and a special evangelistic angel (Revelation 14:6-7). Some will also repent in response to the judgments of God. But the Bible says most people will curse God rather than repent (Revelation 9:20-21). The Bible also indicates that those who have heard the Gospel and have rejected it before the Rapture takes place will continue to reject the Gospel during the Tribulation. See 2 Thessalonians 2:8-12.
Who is the Antichrist and where will he come from? The Anti-Christ is a person who will be empowered by Satan during the Tribulation. He will be the most dynamic and charismatic political leader the world has ever seen. He will negotiate a peace treaty for Israel and then proceed to build a world wide empire, using a reunited Europe as his initial political base. Three and a half years later, he will declare himself to be god, and he will launch the greatest persecution of the Jews in history. At the Second Coming, the Anti-Christ will be seized and thrown into the lake of fire, together with his false prophet. Read Daniel 11:21-12:4, Revelation 13, and Revelation 19:11-21. The prophet Daniel says the Anti-Christ will come from the same people who destroyed Jerusalem in 70 A.D. — namely, the Romans. See Daniel 9:24-27. A period of 1,000 years during which Jesus will reign over the earth from Jerusalem with a “rod of iron,” resulting in worldwide peace, righteousness, and justice. Read Isaiah 2:1-4; Isaiah 9:6-7, Micah 4:1-7; Luke 1:32-33; & Revelation 20: 1-6. Does Russia play any role in end time prophecy? Yes. The Russians will invade Israel and will be destroyed supernaturally on the hills of Israel. This event will most likely occur at the beginning of the Tribulation. Read Ezekiel 38 & 39. End time Bible prophecy focuses on Israel and its surrounding nations. There is no direct reference to the U.S. in these prophecies. The most likely reason is that God will judge America through a nuclear attack when the Russians invade Israel. Read Ezekiel 38 & 39. Another possibility is that America will be judged with an economic collapse that will render the nation incapable of intervening in Middle Eastern affairs. When will the Judgment take place? For the Saved, their judgment for sin took place at the Cross when Jesus became their sin-bearer and took the wrath they deserved (2 Corinthinas 5:21). The only future judgment the Redeemed will experience will take place after the Rapture, at the judgment seat of Jesus in Heaven. At this judgment, they will be judged of their works to determine their degrees of reward. Read 2 Corinthinas 5:10. For the Unsaved, their judgment will occur at the end of the Millennium at the Great White Throne. They will be judged of their works to determine their degrees of punishment. Read Revelation 2;11-15. No. The Bible says we will spend eternity on a new earth. God will come down from Heaven to spend eternity with us on the new earth. Read Revelation 21:1-4. Yes, definitely. We are told that we will have glorified bodies like the one that Jesus had after His resurrection (Philippians 3:21). Once the disciples got over the shock of His resurrection, they easily recognized Him whenever He appeared to them (John 21:1-7). In like manner, the disciples recognized Moses and Elijah when they appeared at the transfiguration of Jesus (Matthew 17:1-5). We do not become non-entities at death. We retain our individuality and personality. God constantly refers to Himself as “the God of Abraham, Isaac and Jacob” long after their deaths. His fellowship with them is obviously continuing in Heaven. See Luke 20:37-38. Will the unrighteous be tormented in Hell forever? No. The Bible teaches that the unrighteous will be resurrected, judged, and consigned to Hell for a period of suffering that is proportional to their sins. Then they will suffer destruction or extinction. Read Matthew 10:28, John 3:16, 2 Thessalonians 1:9, Luke 12:41-48, and I Timothy 6:16. Definitely. Romans 11:29 says “the gifts and the calling of God are irrevocable.” In Romans 11:1-2 Paul says that “God has not rejected His people whom He foreknew.” And in Romans 9:4 Paul says that God still has covenants (the Abrahamic and Davidic) and promises to fulfill with the Jewish people. The Jewish people were chosen to be a vehicle of blessings to the nations (Genesis 12:1-3), and they have been. Through them God gave the world the Scriptures and the Messiah. They were also chosen to be witnesses of God (Isaiah 43:10-12). They remain a witness to this day. Their history shows that when you are faithful to God, He blesses; when you are unfaithful, He disciplines; and when you repent, He forgives and blesses again. They are currently under discipline, but before the end of the Tribulation, a remnant will repent and receive Jesus as their Messiah. Read Romans 9-11 and Zechariah 12:10 & 13:1. But hasn't the disobedience of the Jews invalidated all of God's promises to them? Absolutely not. Paul specifically addresses this question in Romans 3:1-4. He asks, “Has their [the Jews] unbelief nullified the faithfulness of God?” He answers, “May it never be! Rather, let God be found true, though every man be found a liar.” Their disobedience has delayed God’s fulfillment of His promises, but His promises are still valid. The promises will be fulfilled to a believing remnant. See Romans 9:27. God’s incredible patience with Israel and His persistent pursuit of their hearts is a demonstration of His incomparable grace. What is the key to understanding the book of Revelation? There are two keys. The first is to interpret the book literally to mean what it says. The book of Revelation is not difficult to understand. It is difficult to believe. If you will believe what the book says, you will understand it. The second key is to pay close attention to Revelation 1:19. It is the table of contents of the book. What did Jesus mean in Revelation 22:20 when He said, I am coming soon? He meant exactly what He said. God is not in time. He does not experience time the way we do. The Bible says that to God a thousand years is like a day (2 Peter 3:9). The way God sees time, Jesus died on the cross two days ago. This is a very fascinating point since the prophet Hosea says that the Lord will ascend to Heaven and stay there until the Jewish people cry out in their affliction (the Tribulation). He will then return to earth “after two days and will raise us up on the third day that we may live before Him” (Hosea 5:15-6:2). In other words, Hosea says the Lord will return after two thousand years, and the Redeemed will be resurrected to live before the Lord for a thousand years (the Millennium). We are at the end of that two thousand year period right now. 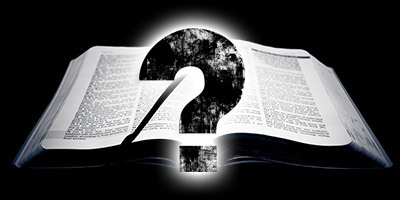 What are some good books concerning Bible prophecy? Regarding the book of Revelation, there are several outstanding ones: Revelation Illustrated and Made Plain by Tim LeHaye, There’s A New World Coming by Hal Lindsey, Interpreting Revelation by Merrill Tenney, and The Revelation Record by Henry Morris. Two excellent books on Daniel are The Most High God by Renald Showers and Daniel: God’s Man in a Secular Society by Donald Campbell. The best survey of end time events can be found in Leon Woods’ book, The Bible and Future Events. The best overall book on Bible prophecy that has ever been published is Things to Come by Dwight Pentecost. The greatest and most enduring classic on the return of Jesus is William E. Blackstone’s book, Jesus is Coming. Will I be saved when the Lord returns? That depends on your response to Jesus. The Bible says that all people are sinners and need to be saved (Romans 3:23). The Bible says that there is only one way to be saved and that is by receiving Jesus Christ as your Lord and Savior (John 14:6). Those who have refused to repent of their sins and receive Jesus as their Savior are subject to the wrath of God (John 3:36). If they die in their sins, or if Jesus returns before they repent, they will suffer the eternal punishment of Hell (Revelation 20:11-15). But if you repent of your sins and confess Jesus as your Lord and Savior, you will be saved, and you will spend eternity with God (Romans 10:9-11 and John 6:47). Again, the choice is yours. Salvation is a free gift of God through Jesus (Romans 6:23), but you must reach out and receive the gift in faith.